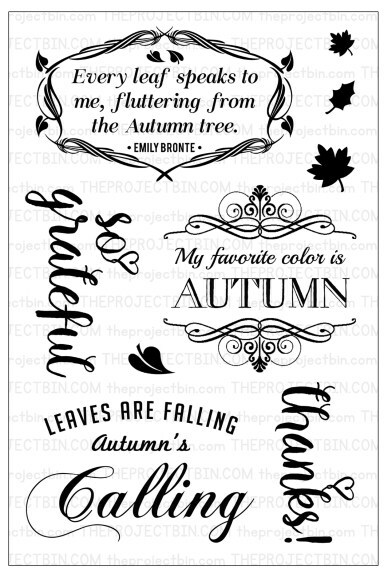 Mondays with The Project Bin ~ Limited Edition! Mondays are always fun-days on my blog since it's The Project Bin day! Mondays will be myself and new design team mate, Tamie! 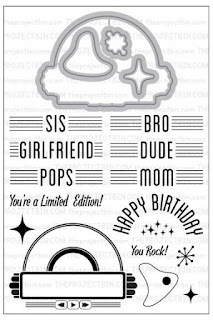 as I need a plethora of birthday cards. 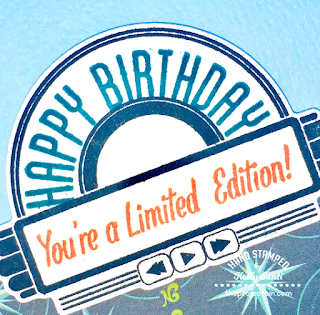 as it's a fun, classic and can be personalized to just who you need it for! which makes card created easy. Just stamp, die-cut and ta-da! 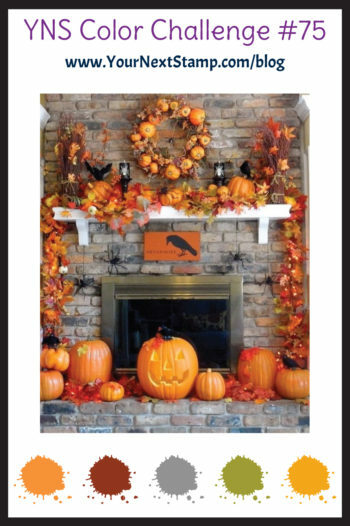 by clicking on the photo here in the shop! CCEE1743 ~ All about Cats! This is Frances' last week as hostess for the CCEE Stampers this month. I was so sure dogs were #1 ~ surprise! that I skipped right over all of my Halloween cat stamps! for a faux watercolor look. so I gave it a simple gingham background and wooden dots. and see the wonderful cat cards! I'm entering my card into the 2017 Cat Lover's Hop! By the evening, it is supposed to 'dip' into the 60's! Does this card design look familiar? which means I"ll have to try one for winter! 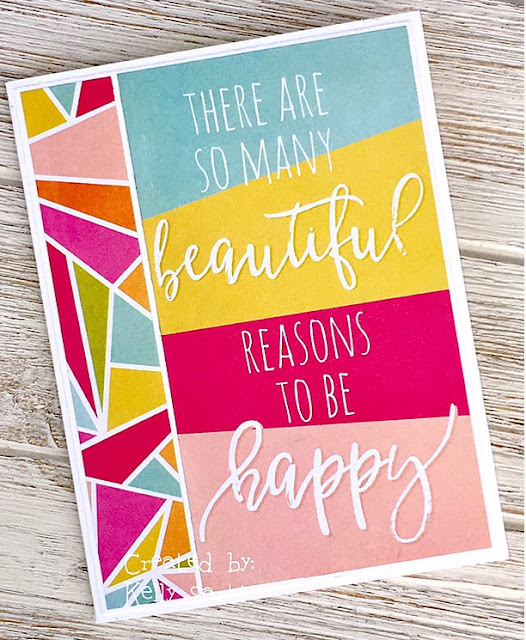 as well as many card samples to inspire you. Which way to the ....... Starbucks! with my Florida gal pals! ~ like this one .... Halloween! 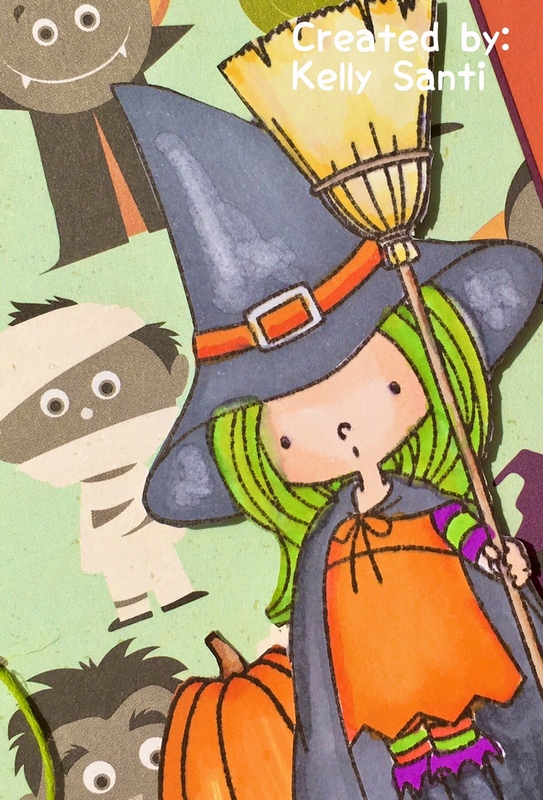 from MFT's talented Birdie Brown called Witch Way is the Candy. I'm seeing this stamp on cards all over the place! I'd be at each Starbucks with my bag - hee hee! I've got some hopping of my own to do! and that's just all before noon! LOL! You can find me on Instagram HERE ! hidden on one of the stops! Now that's a nice treat! this week ~ use acetate! I confess, I got a little nervous when I saw the theme! and I stamped snowflakes in Hero Arts white unicorn ink onto the acetate. give more of a snowy look. then through my cuttlebug with the matching MFT die. Added a bit of twine and voila! some pretty cool cards and projects! please use the keyword CCEE1742 so we can find your card. RSG Challenge - Between the lines! Do you know what skunks say when they go to church? 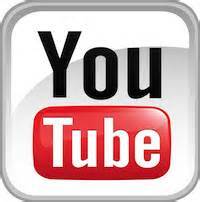 Today's the day when the new challenge is up for Ready, Set, Go! and more 'out of the box'. before with this card, which I loved! Between the Lines: choose an image you normally WOULD color. BUT don't color between the lines! on your card WITHOUT COLORING BETWEEN THE LINES. 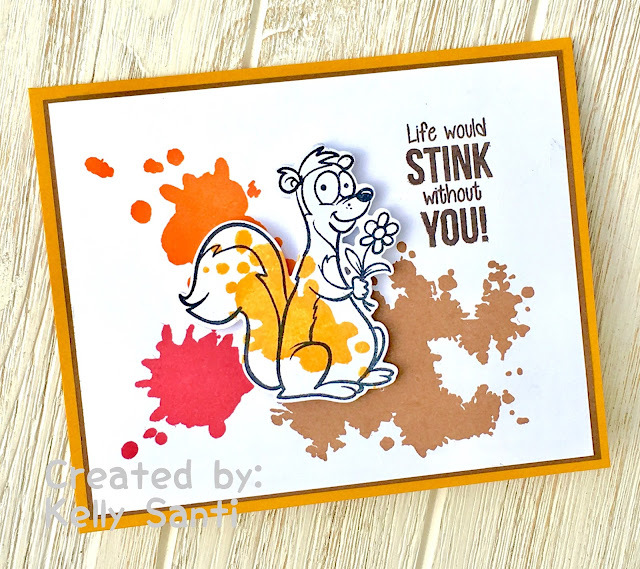 or that would really stink!!! You can see what Barb made and what Jeanette made with this challenge! 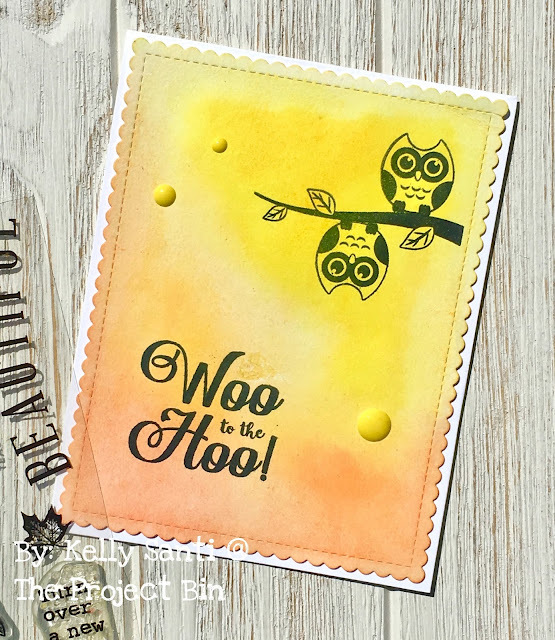 Mondays with The Project Bin ~ Woo to the Hoo! 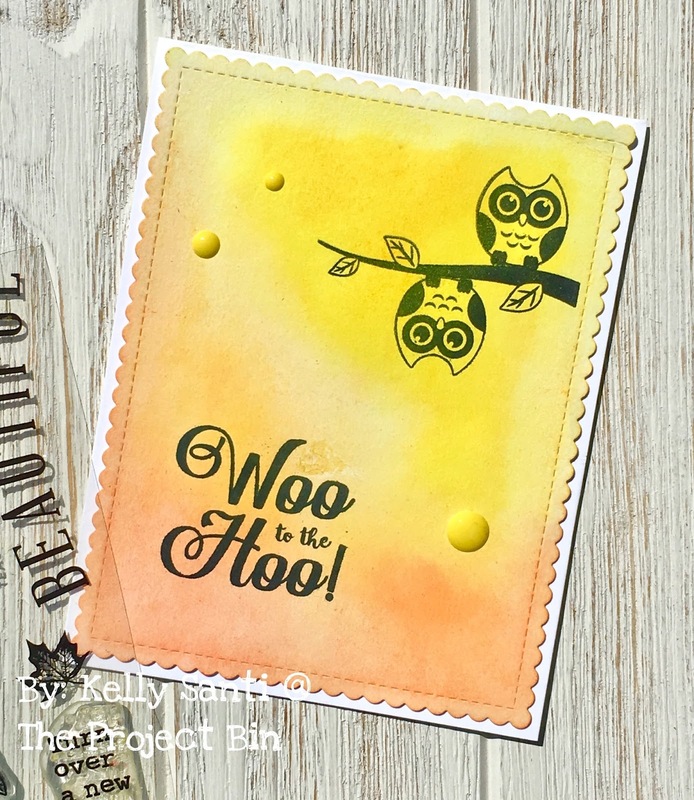 Whoooooo loves the "New Leaf" stamp set from The Project Bin? Today's card from The Project Bin was such fun to create! I was able to watercolor AND stamp - a win/win! I used my Kuretake Gansai Tambi Japanese Watercolors to create the base. These are solid-pigment pan watercolors and just the yummiest! without a lot of layers or extras other than a few enamel dots. I had a vision of how bats hang upside on the branches. I decided to have a little fun with an owl, too. 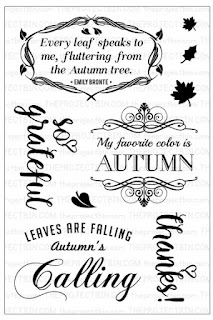 as well as the New Leaf stamp set and more in the shop. where you can see many cards with this same stamp. CCEE 1741 ~ Old Farmer's Day! and Frances has picked a great one! Today is Old Farmer's Day! Did you know the United States had 2.06 million farms in 2016? The state with this most farms? which was more farms than Missouri and Iowa combined! which approximately 11.72% of the entire farmland in the USA! And here is my card representing Old Farmer's Day. for quite some time and wanted to bring them back out again. and see the DT inspiration! please use the keyword CCEE1741! And that's about all the MOOs I have to share today! 3M: Which witch is which?! 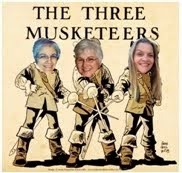 The 9th of the month is the day the 3 Musketeers post our cards. Jeanette sent us this month's image and it's a riot! by process of elimination, I must be the one with the green hair! So I made sure my warts were on point! so I made the card base work around my image. Usually I make my cards the other way around. Added a heat embossed Happy Halloween and ta-da! Be sure to see what Barb and Jeanette made with this same image, too! Barb is up next month and I'm sure it will be a fabulous image. 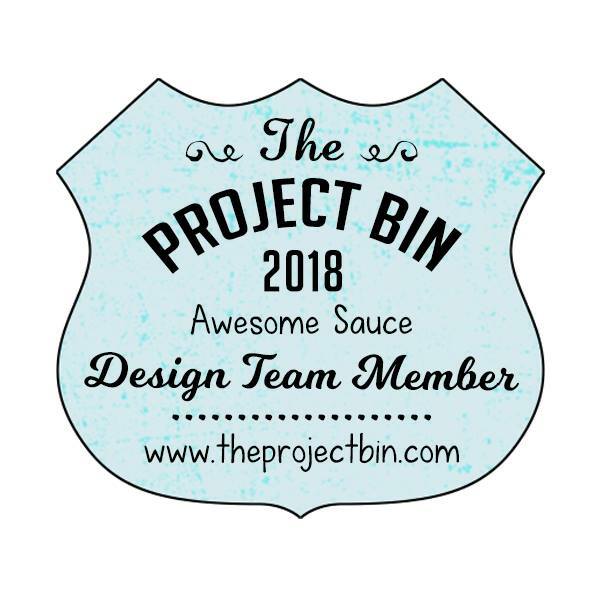 Mondays with The Project Bin ~ Shaking it up! 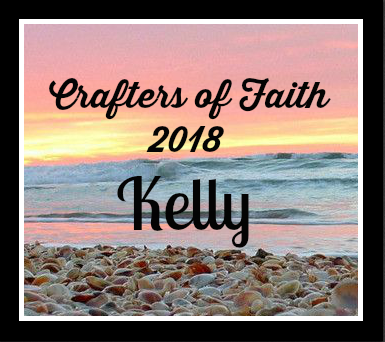 Today I'm shaking things up a bit on my blog! and spotted those tiny take-out containers and lids. if I could have a couple for an idea that popped into my head. some paper, glue and twine and made a shaker card. and cuttlebug into a white base of card stock. like a mountain verses a valley. to push it through for better stability. just a hair smaller than the A2 size. I glued the back panel on and then layered it onto the Really Rust card stock. patterned paper card stock base. I had a lot of fun with this one and love the 'quirky-ness' of it! 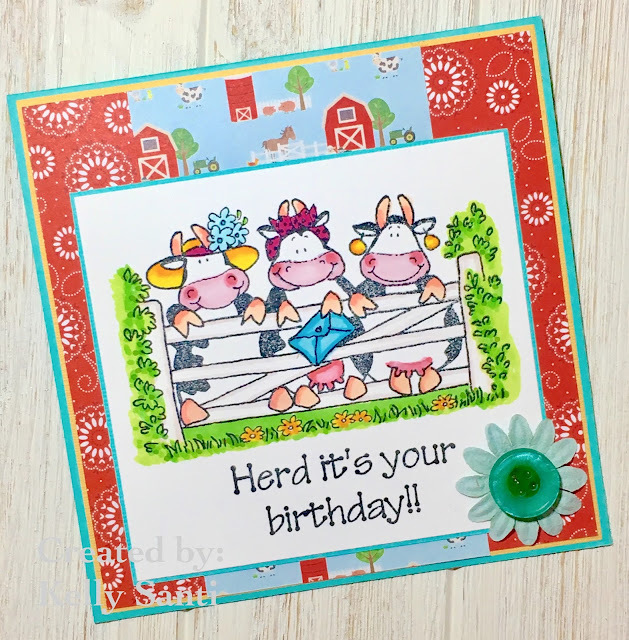 The point it - it's fun to think outside the box with card making. you just never know what you'll come up with! 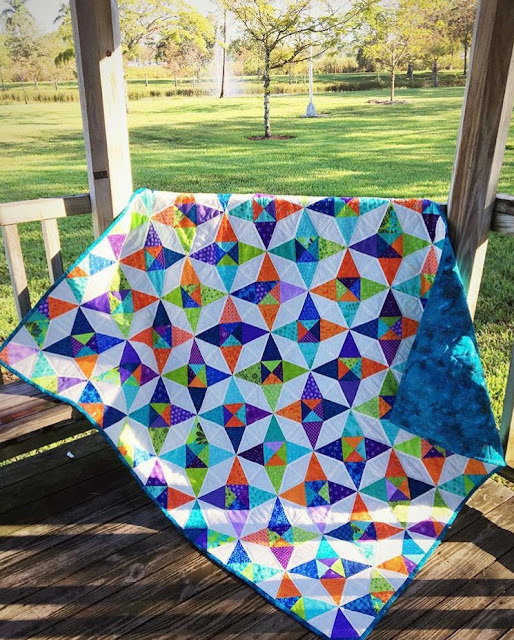 and inspiration galore on The Project Bin blog! 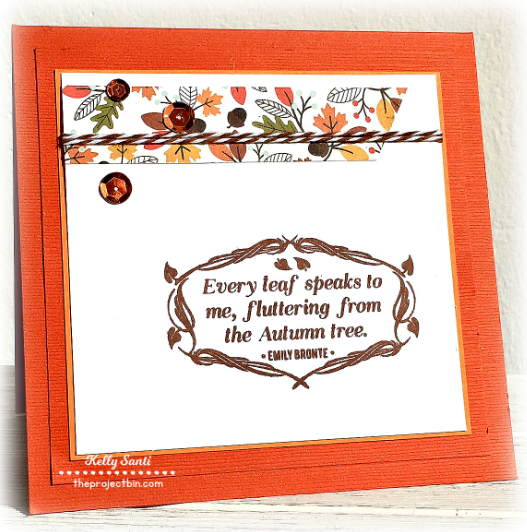 Today's the first day of *Falliday Fest* over on Splitcoaststampers! 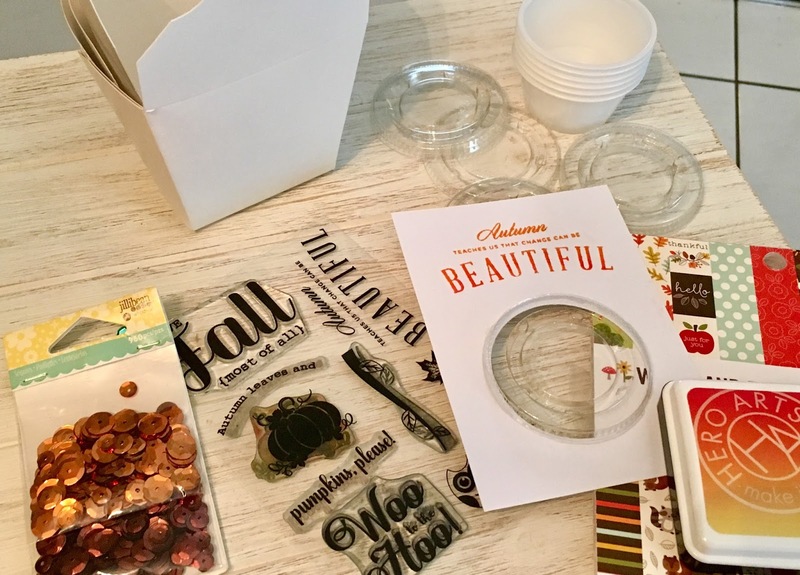 TEN holiday craft tutorials, and four card drive destinations. every day you can wake up to the new fun challenge. 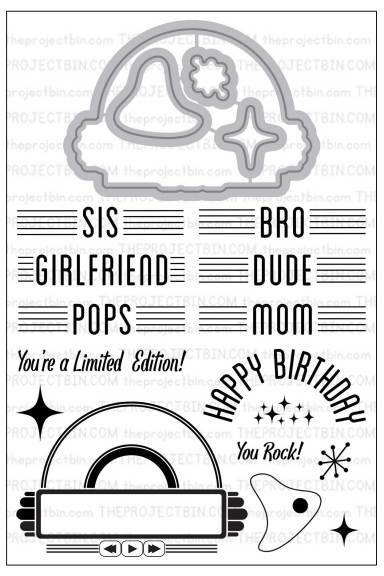 like my card today. It was great fun! this will indeed be a challenge but I'm looking forward to it! never used it, until now! 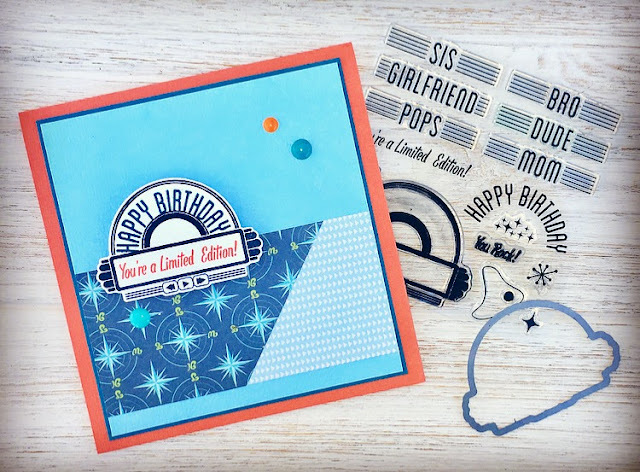 stamp and die set from Lawn Fawn! the talented Kari Webster in her giveaway. Are you playing along in the Falliday, too? Let me know - I'll stop by and visit! 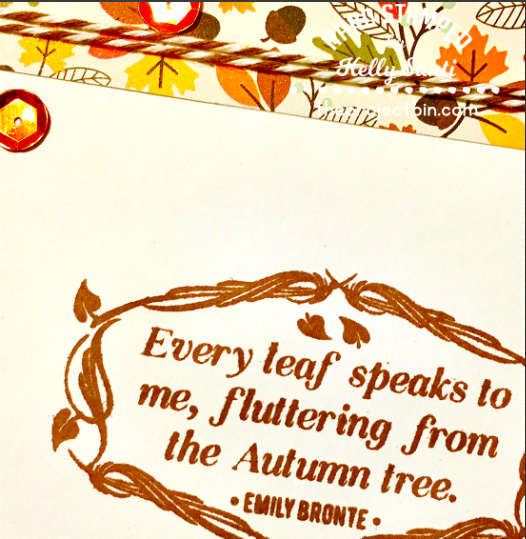 Happy World Cardmaking Day ~ 2017! How fun to have a day to celebrate card making! It was ONE OF THOSE SATURDAYS so I had to quickly shift gears ..
this is the verse I would like to highlight with Oct card ---- so anything with a quilt, tapestry, artwork of sorts. 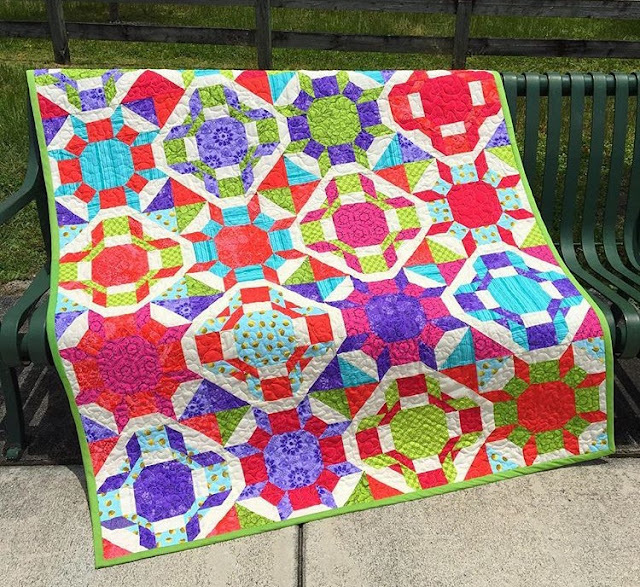 with a bold sentiment to mimic a quilted pattern! I have to give a shout out to my FAVORITE quilter - my daughter! She's only 22 but the girl can quilt with the best of them! She's self taught and is an absolute natural! This one is one she made for me! I love, love, LOVE it so much! Isn't she amazing AND talented! What did you make today for WCMD? CCEE1740 ~ Balloons Around the World Day!